Brilliant book, highly recommend to everyone who wants to know the nuances of money management. The book touch every aspect of our life to teach us how to build wealth. 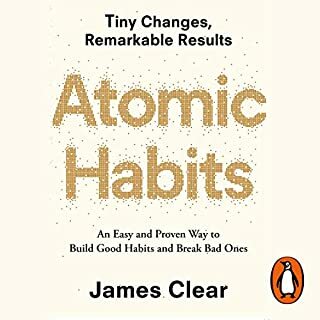 A best investment anyone can make by listening this book. 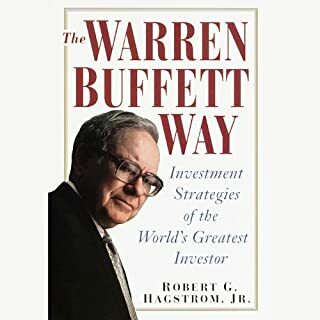 Throughout the book, which revolves around a boy of a poor dad who is learning financial education from a friend’s dad who he says his rich dad, the idea of personal finance and experience on successful investment-ventures flows continually. 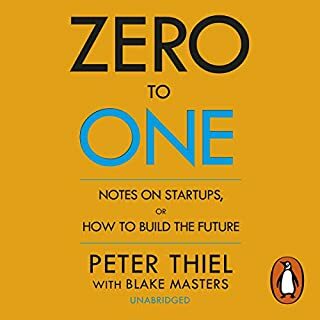 In addition to that the author also talks about the philosophy and mindset one needs to be in to become rich, also sharing with us some of the financial loopholes of the system to make money. However, what the book lacks behind is telling us about where should we not make mistakes. There are number of ideas and experiences that the author shares about money making, but doesn’t share any idea of how to identify the opportunity, but he indicates to his other books that could help, (clever marketing robert), that was the part where it got a bit hung over to me. Everyone knows money can be made in stock markets and real estates, but to crack up those deals and get those cheap out of the court settlements may only be peculiar to America, might not be workable in India, China or Philippines for instance. The philosophies shared about saving and investing are of great help, however the instruments to invest in was never introduced, i think I’ll be doing good with my steady growth mutual funds. If someone knows of that 16% income instrument with low risk, please tell me. But, as of now the first steps are always the hardest and slowest, working to build on the idea of wealth generation, just as a child takes its first steps. Good book for financial freedom Recommended to everyone.Just go for it without any second thought. if anyone is interested in understanding financial independence, it's a must read book. it should be for any level who wants to understand it without numbers. After listening to this book, most of the middle class people will match some or other views with their own life. And this actually makes interesting to listen. Few of the views worth making a go ahead & see if it can be worked out. This book encapsulates capitalism and for the most part whatever your philosophy, the advice is sound...at least from a 'Western' stance. 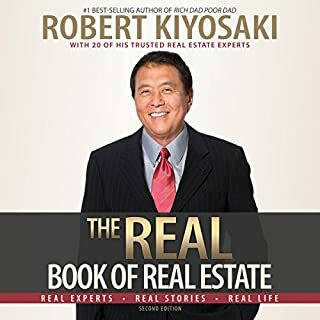 Kiyosaki is clearly very passionate about the subject matter which adds an air of confidence and authority to his book. Some have criticised that the whole,'rich dad' thing is a fabrication...I would suggest that this is an irrelevance. Any successful entrepreneur will tell you that acting 'as if' is often a given. 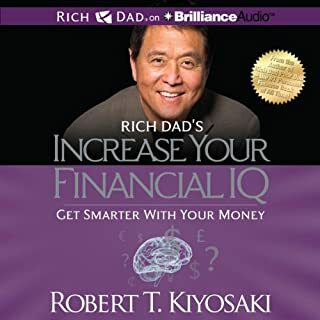 Kiyosaki can get carried away at times and make what I would say are ridiculous suggestions such as education being for mere fools......and this lets an otherwise excellent book down. 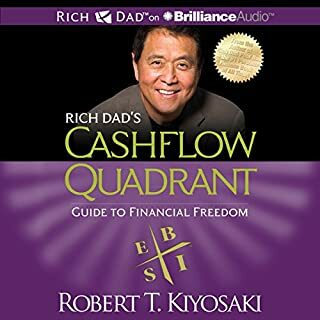 At times, Kiyosaki apologises for being unfair...and then continues to be just that and there can be a two-faced element to his arguments as a consequence. Narration is always important with audiobooks and Wheeler's approach is impeccable. I'd encourage Kiyosaki to take some time out to embrace some more Eastern practices as money alone whilst important is ultimately a mere fabrication of mankind. Nevertheless a very enjoyable listen...if at times a tad trite. This book seems to mostly be a hatched job of socialism parading as a fair and balanced viewpoint. The author seems sincere in his belief that a socialist philosophy is just an economic stupidity, and then goes on to extol the apparently endless virtues of what is, at heart, some fairly straightforward capitalist dogma. While from an individual's point of view, the advice given seems likely to achieve the end goal of making the individual using it richer - at least a little - there seem to be quite a few pretty critical issues entirely overlooked. The first is ethics. This question isn't even passed over lightly, it's completely absent from the book. 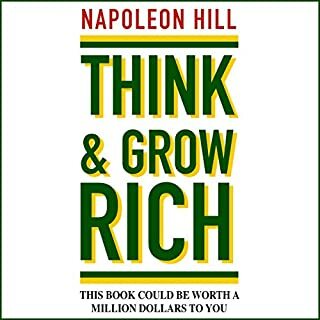 The author wants you to think about how to get rich - full stop. He clearly feels enough guilt over his strategies to offer the platitude that poor people are really responsible for their own problems, and if only they'd change how they think about the world, they too could be rich. In so doing, he lays the challenges and problems of the poor and middle classes at their own feet. He explains, at some length, that taxation is bad and implies that people who pay taxes are stupid, and helpfully elucidates that America and the UK were both countries that had no taxes at one point, but fails to mention that the effect of tax was, in part, to make the countries the global powers that they became by allowing them to invest in projects that no individual could manage alone. Not that tax is bad, though, we're assured - just that smart people don't pay it. Yes, fine. It's possible to evade taxes - rich people do it all the time. That doesn't make it an ethical thing to do - just a selfish and short-sighted one. Even the rich enjoy having public services such as a police force, army and roads. Boasting about not contributing to things we literally all need seems to be the exact thing the author subtly calls the rest of us who do - terminally short sighted and stupid. Moving on. The second major problem is that the strategies presented would literally fail if more than a tiny minority of people adopted them. In a world full exlusively of investors, ironically no one makes and bread. 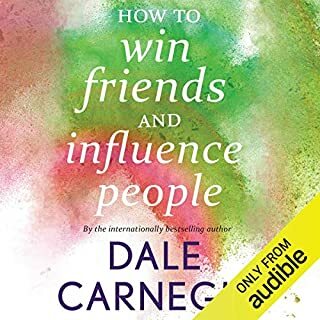 The behaviours suggested in this book are fundamentally parasitic in nature - you leverage other people's hard work to make yourself rich at their expense. Smart, but very destructive to society as a whole. Still, the book will absolutely help you get rich enough to stop caring if the whole system crumbles. Third, this is a book of it's time, and will age less and less favourably as time goes on. With radical changes coming more and more rapidly, the approach advocated by this book is going to become less and less relevant. Hard times ahead - except for the people who already have pretty much everything. If that's you, congrats. If not - you're screwed in the long run, even if you take all the advice in the book. 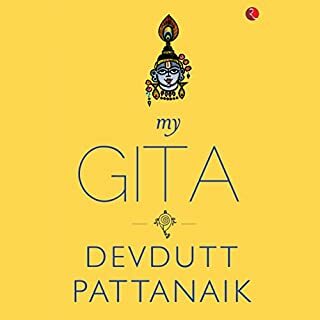 I'm sure the author would tell me that I'm my own worst enemy, though, because in spite of his efforts to be 'neutral' and 'balanced' in how he presents things, his own viewpoint is fundamentally that of a pretty greedy man of slightly better than mediocre intelligence. too many vagueries and not enough specific plans of action. Whilst the principles are somewhat useful, these are meaningless without specific details on how to execute. 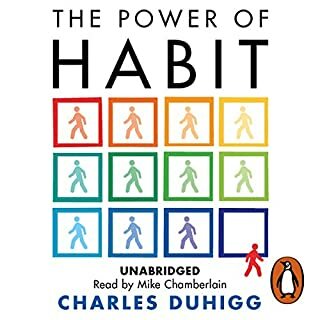 I haven't finished listening to this book yet and one of the reasons it's taking me a long time to get through is that it's read in a very monotonous tone, which makes the material feel more boring than it needs to. But I also have problems with the content of the book, since the author spends so much time telling us to accumulate assets instead of liabilities, but doesn't really get down to the nuts and bolts of how to do that, which is frustrating. Motivational but thin on details. This is a bit of a mix, really, and there are some issues. It seems America-centric. A lot of the advice offered is not directly relevant to other countries because the laws are different. For example, in the UK it is not necessary to set up a corporation to claim business expenses offset against tax; you can instead set up as a sole trader or partnership. It also does seem that Kiyosaki is cherry-picking when it comes to anecdotes offered. This may or may not be the case, but it is the feeling I get. He seems to go off on a rant when talking about an investment that increases in value by 16% year-on-year because he's been told by other people that the investment is "far too risky," but he does not explain the investment. Nevertheless, some of the advice I do feel is sound. To own businesses (rather than taking time to run them yourself) and to learn to make good investment decisions and make them both seem good ideas from the point of view of the end goal of generating money without working for money. That's obviously the ticket to financial security which is what the book is really about. If you have a regular income and you don't have to "work" 40 hours a week to get it, that's the goal. 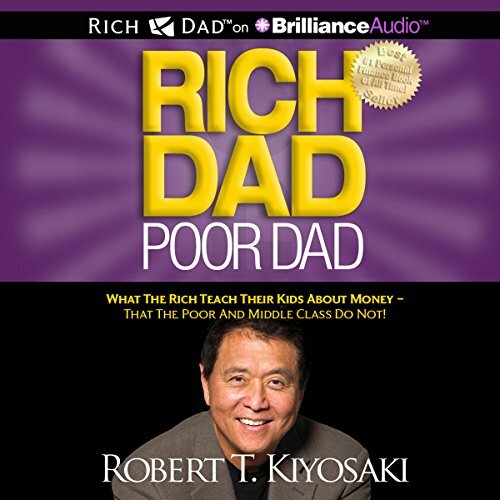 The problem for me with this book and many similar books is that it describes what has worked for Kiyosaki. Kiyosaki has a unique set of skills as has every other person. In his case it led to riches; in other people's cases that may not really apply. 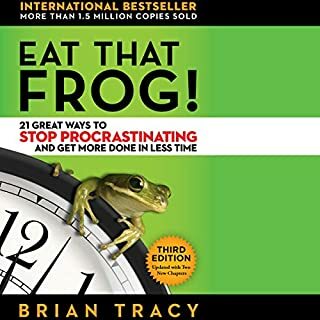 So I finally caved and got this book... somewhat useful for motivational purposes I suppose, though don’t expect any revelations.. I agree with some points and disagree with others. If you truly have no concept of personal cash flow then it’s a good place to start! I'll be buying assets from here on! I really enjoyed this book. It teaches you the mentality that drives wealthy people and the core principles that made them rich. I am putting these principles into action. 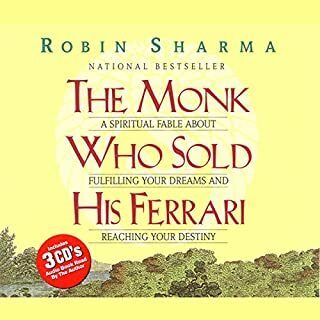 This book surprised me on how well it went through the mechanics of what makes someone rich vs someone who is wealthy. 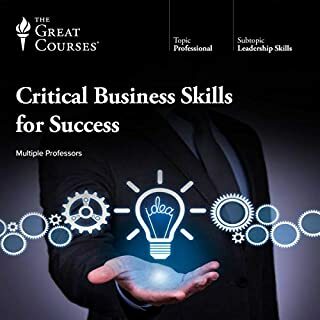 I am from the convential educational system, and over the last 15 years or so I have experienced exactly the symptoms of the new wealthy middle class as depicted in this book - study damn hard, work extra hard and you will succeed. 30 years later only find the mill needs more energy and I am shutting down, very little to show for it, lots of hours spent but 60% of my wealth in others pockets! This is a must read for all, especially parents in the west. An enjoyable,outstanding eye opener !! 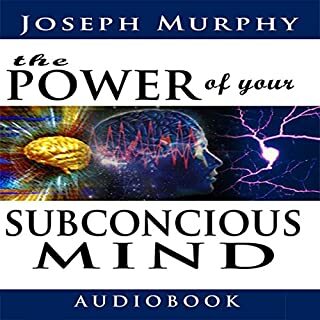 I will 110% be listening to this audio book again as I feel that there was too much valuable information to take in all at once, next time I will be taking notes and using them to begin educating my own children. 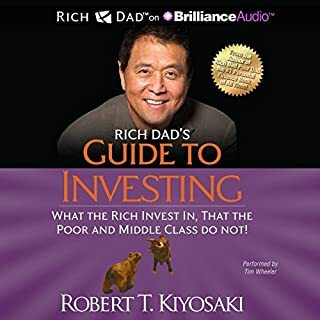 I listened to the whole book within 24hrs as I just wanted to know more and since finishing the book I have bought 3 more of Rich Dads audio books. What does Tim Wheeler bring to the story that you wouldn’t experience if you had only read the book? Tim Wheeler was a great candidate for Rich Dads audio books as he made the listening experience more pleasurable with his tone of voice and delivery of speech. He also has the ability to make you feel as though he is actually sitting beside you and talking to you personally. 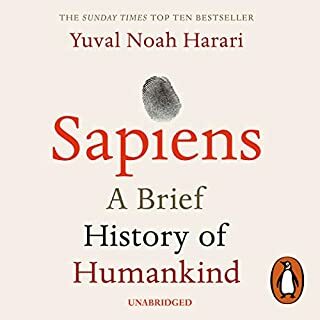 It made me feel a little bit angry at times as I felt like the working class are actually kept in the dark about a lot of the topics spoke about in this audio book. It also aggravated me to think that my children are now also being "Trained" at school to become only suitable for employment. I have since been proactive about changing my children's course of education and also about they're financial way of thinking. A definite must have for any loving, caring parent. For any one serious about opening there mind and changing the way they see things I would highly recommend. A small price to pay for potentially life changing information!! Listened to this in 36 hours since I bought it! The insights he shares are so helpful, thank you!! Liked that it opens your mind to other ways of thinking. A great story of learning and application of education, it gets you thinking in a different way- the secrets to the rich! If you think you’d like some fictional financial advice given to a 9 year old in the 1950’s, that revolves around flipping foreclosed real-estate prior to the 2008 GFC, you’re an idiot, and you will probably love this book. The first half is a fictional retelling of the author’s childhood. It is boring, heavy with repetitive pseudo psychology regarding finance in the 50’s and the “9 year old” it centres around is a poorly developed character, whose personality and maturity change sentence to sentence. The second half offers almost no specific financial advice, just vague idioms like “make your money make money”, etc. The only hint of advice you get is a sense that the author, having written this book prior to 2008, is a big fan of investing in foreclosed properties (GFC anyone?). The book ends with a chapter that is essentially an advert for the author’s other books - classy. This book had me engaged from start to finish. 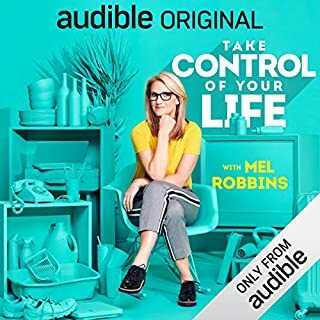 It was so full of financial and life advice that I reccomend everyone have a listen too no matter what point in your life you are at. Half common sense and half irrelevant to Aussies. We can not buy houses for 50k in Melbourne! good theory behind his story "don't work for money, make money work for you" but it isn't that simple in real life! Solid ideas for weslth creation but some unbelievable and at times risky financial advice could lead the uneducated astray. i.e dont pay your bills let the government pursue you into debt collection while you reinvest your dividends or house deposits. Grain of salt required. I should have absorbed this information a long time ago. My view on asset acquisition is forever changed. 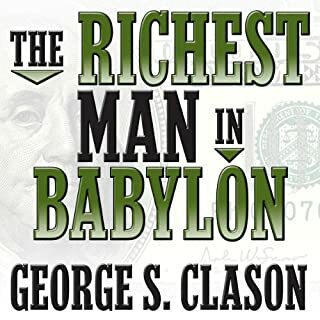 must read for anyone that is ready to learn the world of money, easy to listen too and understand!